I figured since this is a pretty high demand item for most people with an import car I'd go into more depth on how to build a front lip. The few I've seen built come out pretty good, its amazing the stuff you can do with plastic. 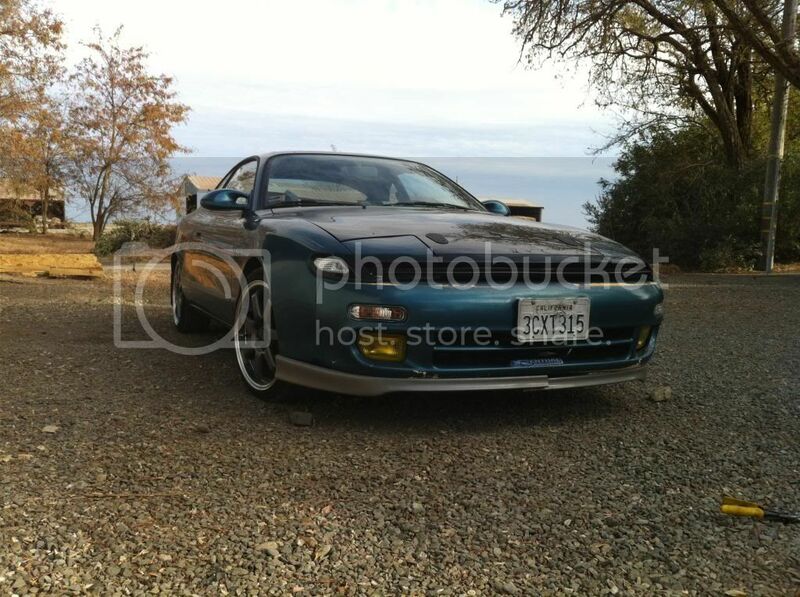 One thing my searches provided me was a couple different ways to build a lip. The one I liked the most was using a rear lip of a 4th gen camaro. tricky part was the price of the lip new, it was a couple hundred which was not suiting to be cut apart to say the least. So off to the junkyard I went, I found one which cost me all of 30 bucks and began hacking it to pieces. I cut about 3 inches off each end and 4 inches or so out of the center. 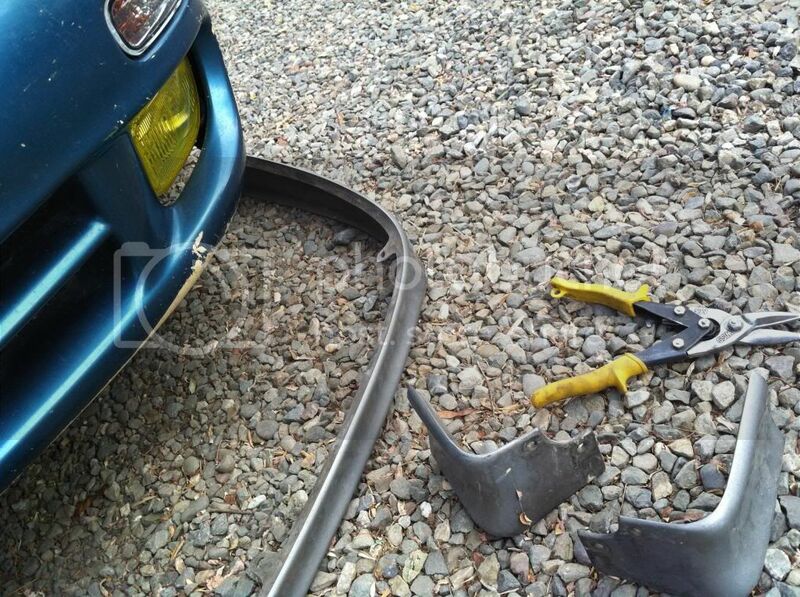 I then snipped wedges out of the curved areas to bend it to match mine. I used a pair of vice grips to hold it in place to see how it looked. that is about where is stopped because I knew I planned to install the RC/CS bumper and didn't want to repeat the process if it were different. My plan is to use something to hold the lip how it will stay and apply one of the LORD Fusor adhesives to fuse the two pieces together and solidify the webbing. from what I've read it works really well, they sell some that adheres very fast and others that adhere slowly. This is what OE companies use for bonding plastics. I borrowed a lot of this info from a friend who made one himself, so I cant take full credit for the idea. Another thing that I've yet to mention is my plan for the sides, I want to use a 6th gen side skirt to match the lip which is pretty darn close in terms of the contours and also follows the door lines almost perfectly and attach it under the car. 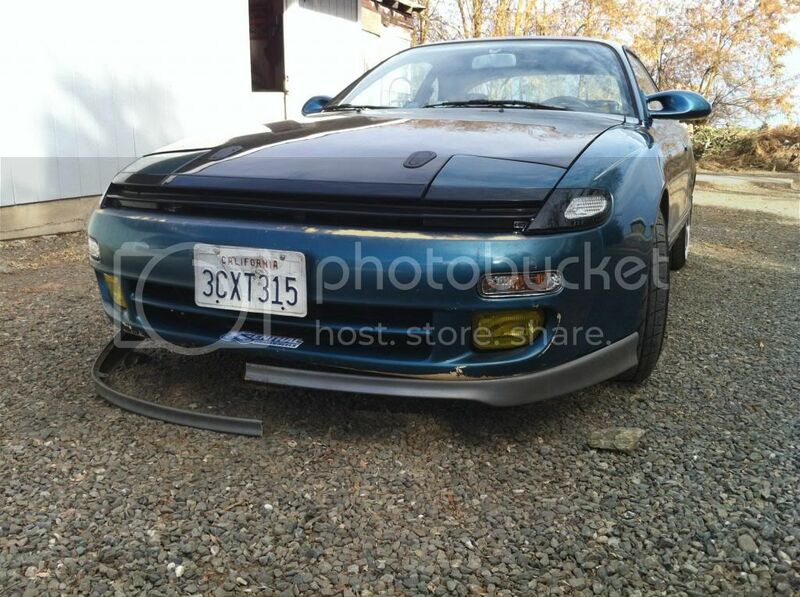 This paired with black door bumpers should leave it will a pretty clean look that not many other 5th gen Celicas have. 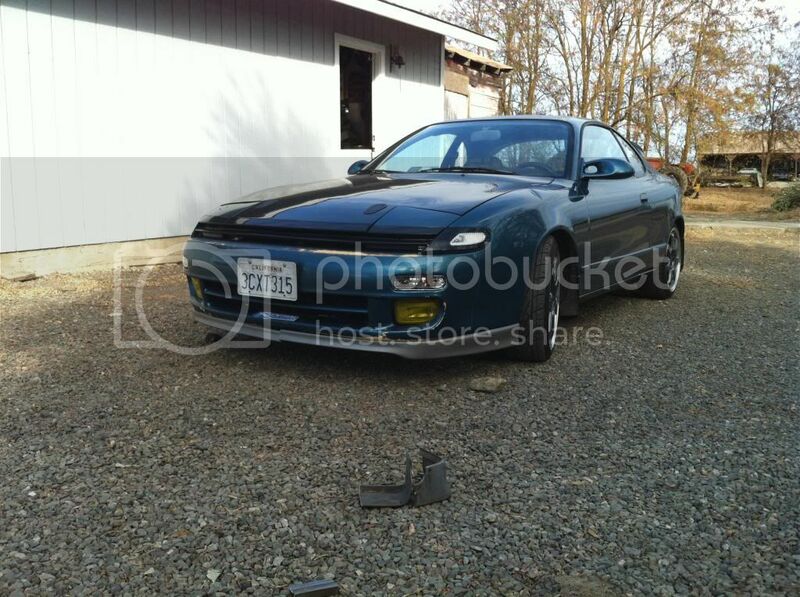 I'll post pics the farther I get with the lip. This is my progress with mini vice grips holding them on, I will trim the end caps and fit them to the back side as well as gluing the center and making it look like its untouched. The stuff I'm planning to use to fuse the plastic together is the industrial grade Fuzor product, the OE's use this.